The Church of the Resurrection, located on the corner of Strada Arthur Verona and Strada A. D. Xenopol, in the Grădina Icoanei area, was built in 1914, based on the plans by the architect Victor Ștephănescu. The first service was held after the war, in 1920, on Easter Sunday. The activity of the church was supported by Princess Marie. 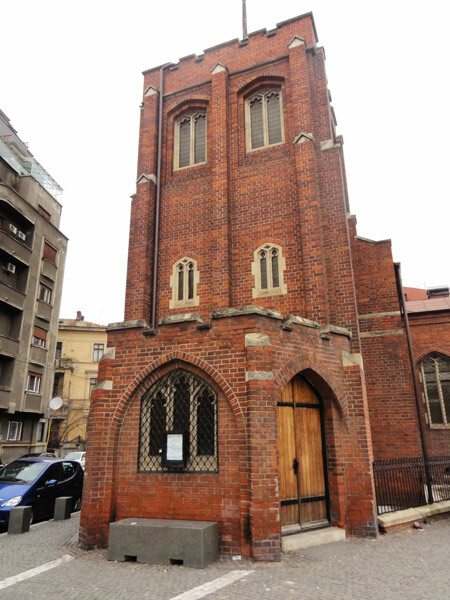 The first pieces of information about the existence of an Anglican Church in Bucharest date from 1860, but the church had been active previously, since 1850, as the Anglican Mission to the Jews. The Mission was located on Strada Olteni, at number 45. During World War I, the building on Strada Olteni housed wards for the wounded. 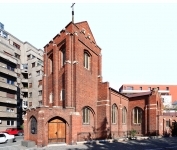 In 1900, Sir John Kennedy, British Minister in Bucharest, obtained the land on which the Anglican Church would be built. The fund-raising campaign was supported by Princess Marie who became a regular attender at the Church. The Anglican Church was closed during World War II, and reopened in 1944, with a Christmas service. During the war, the Church was looked after by a cleaner called Maria who was presented with the bronze cross of St. Augustine for her 60 years of service to the Church. During the communist regime, the activity of the Anglican Church was significantly reduced.